Ginger (Zingiber Officinale) Oil, Bees Wax, Olive (Olea Europaea) Oil. Treatment and healing of the joints Pain, muscle pain, rheumatism, local pain due to muscle cramps, Sciatica pain, damage to joints and bone losses and also Joint cartilage regeneration. Harnessing cyclooxygenase and lipoxygenase enzymes decreases the generation of leukotrienes and prostaglandins, as a result swelling and inflammation are eliminated , thus the pain is relieved and particular structures are protected and the blood flow in the area is improved, preserving the joint function. According to the conducted researches the anti-inflammatory effect of ginger is equal to the synthesis harnessing drugs. Thus, because of local application, this ointment lacks systemic side effects observed in edible consumption such as blood platelets decrease and intervenes with anticoagulant drugs. Olive oil which has polyphonic antioxidants activates pain resistant mechanisms. In case of ointment allergy, consult with a physician. Ointment usage during pregnancy and lactation periods is permitted. No precautions and toxicity cases have been reported as yet . 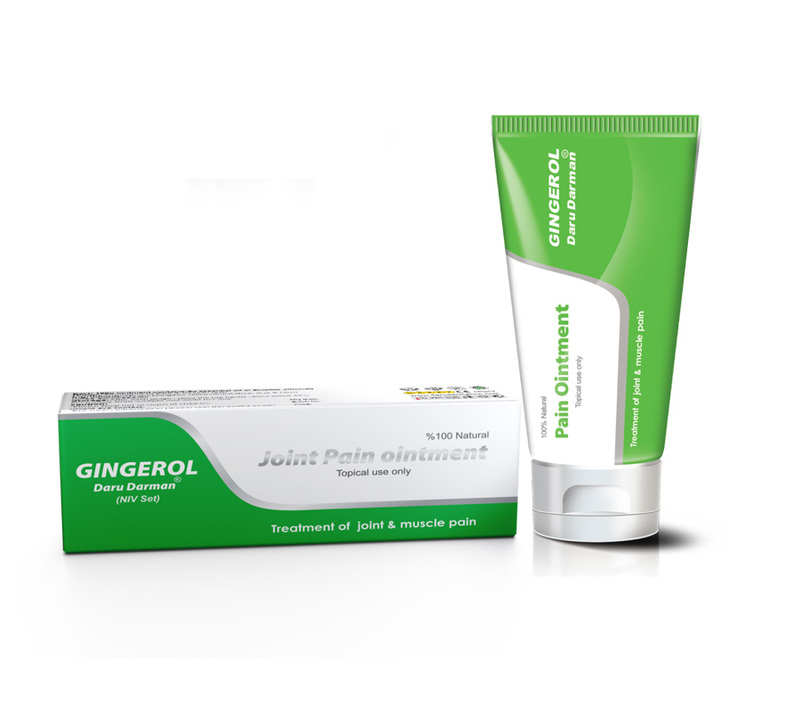 Rub and massage the ointment around the appointed area 2 times a day and rub gently so that the contents of the ointment are absorbed well by skin. Then tie the area with an appropriate piece of material and rest the affected area.